Irony right? I feel like I never go to TGI Friday’s on an actual Friday, it’s usually Sunday or some random week night. 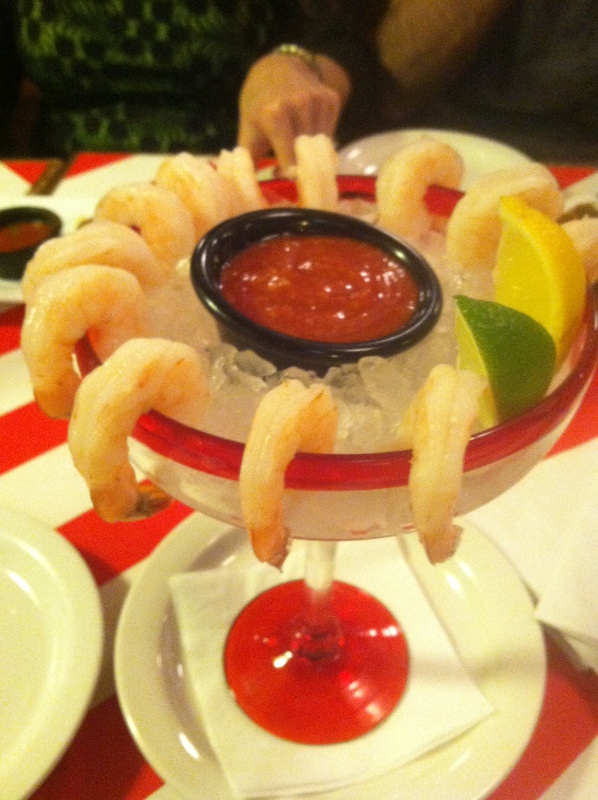 But last night we settled on some amazing happy hour there. If you’ve never been to happy hour there its basically the jam, all appetizers are half price and full mugs of beer are $3.50. Bomb. I went with 2 appetizers that are part of their Right Portion Right Price selection. 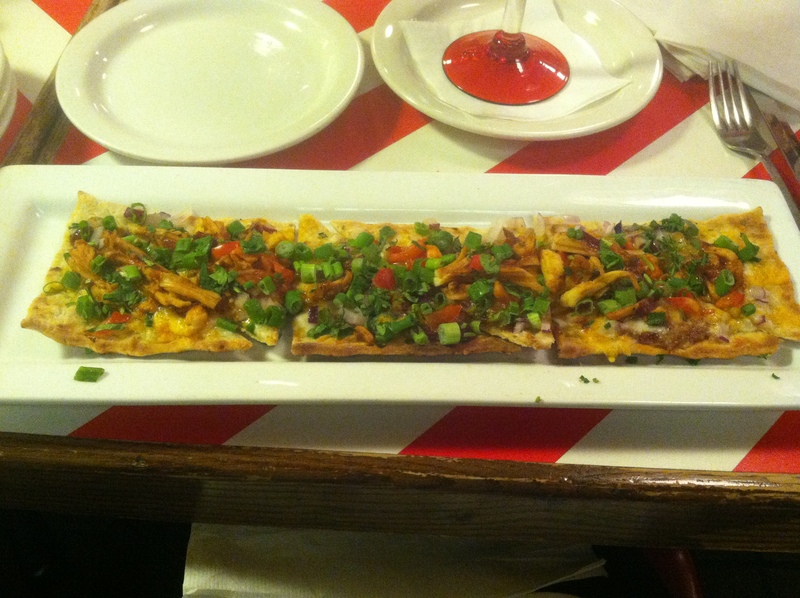 BBQ chicken flatbread pizza and shrimp cocktail Simple but out of this world good. I couldn’t leave without ordering one of their delicious desserts though, I mean I was enjoying my night out so why not! 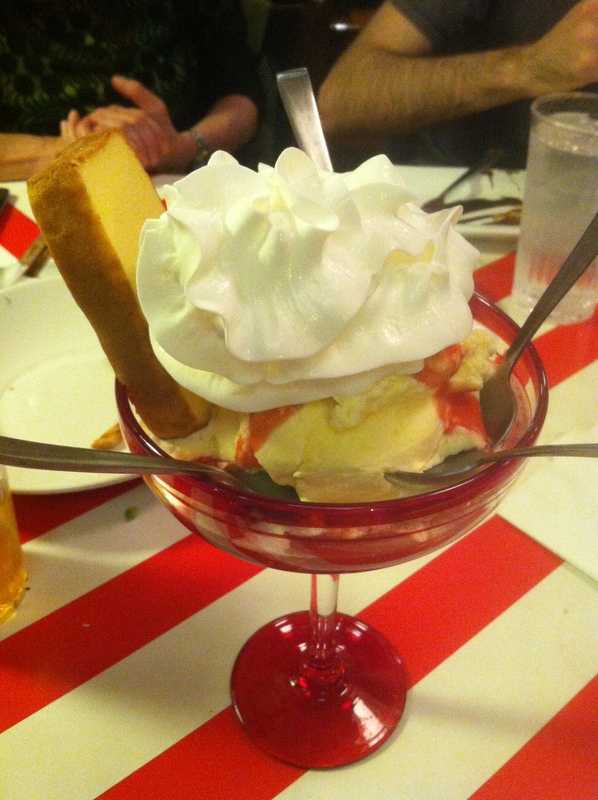 Strawberry Shortcake=phenomenal. Lets just say I left feeling very, very full! Breakfast was an old stand by. 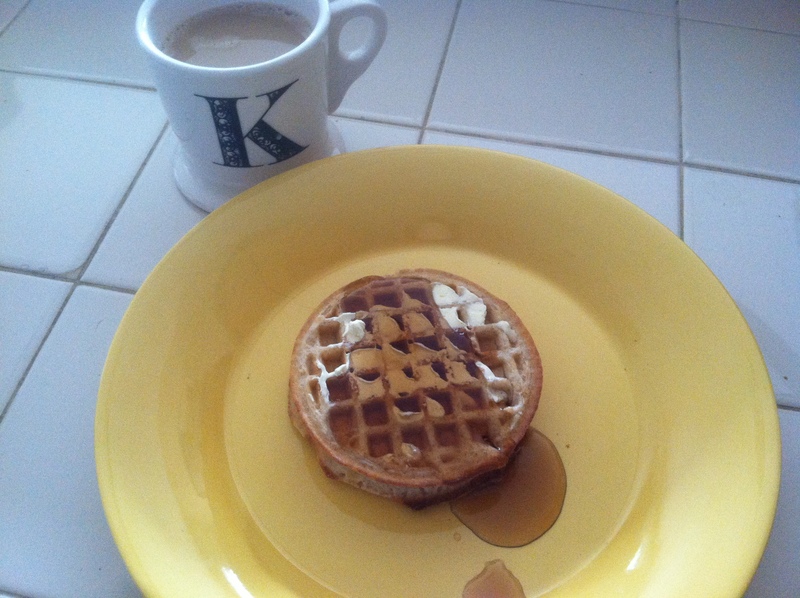 TJ’s waffles with lite syrup and a cup of coffee on the side. I ate half a cup of strawberry yogurt while I waited for my waffles to toast. Simple breakfast but it totally hit the spot. Kelsey Runs is now on Facebook!! I finally bit the bullet and made the blog a Facebook page! Go me! Saturday plans include making another batch of s’more bars for tomorrow, work, and a super sweaty workout. Happy Saturday y’all! Enjoy your days!